Its been a bit colder than usual this Winter or realistically colder than what we have been used to in the past 10 years. 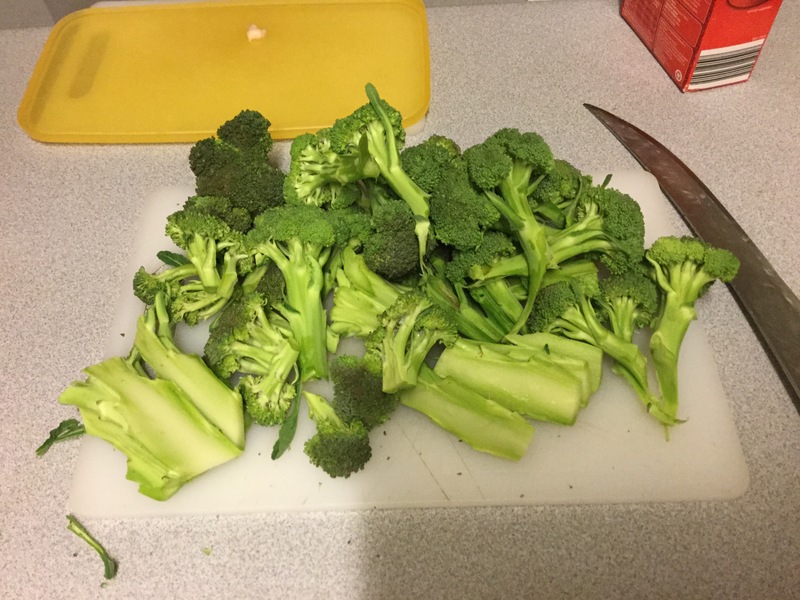 Great for growing broccoli, cauliflower and the rest of the brassicas. Its a nice time of year, lots of hearty food, time to rest the sole. Fruit trees are sleeping, the veggie beds are just chugging along, time to put down some compost into the beds. Time to enjoy the fruits of my labour. Last Seasons preserves, firewood, fruit, pumpkins etc. Each jar, pumpkin, fruit or packet of meat that I use, I can picture the journey of me collecting them, where it was, what the day was like, who was with me and what the feelings were like. This is the very being of why i do what i do. Thats whats missing at the supermarkets, there is no journey, no connection, no work to gain that meal. If there is no connection its no wonder we waste 40% of all of the food. Which is blasphemy, a disgrace at the highest level. 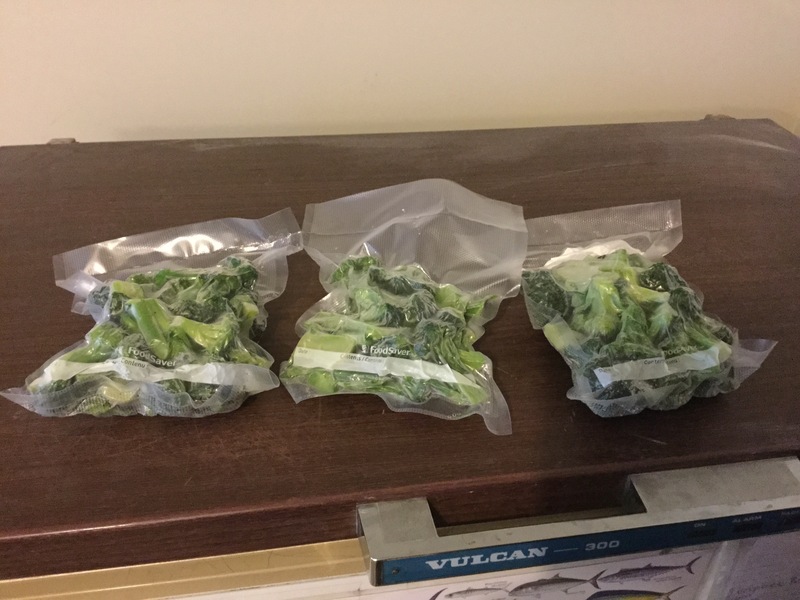 This is some broccoli that I have grown, blanched then I put it in the freezer on an oven tray till its hard then I put it int he vacuum sealed bags- I am always in two minds about the extra plastic, but the product does last a lot longer and I can reuse the bags. Humans need to be plugged into our landscape to know where to find stuff, when and how. What happens if there is a failure in our current system? I know that I will be fine.